According to The Star Wars Show on YouTube, Tower of Terror is set to receive projections for Star Wars: Galactic Nights at Disney’s Hollywood Studios. 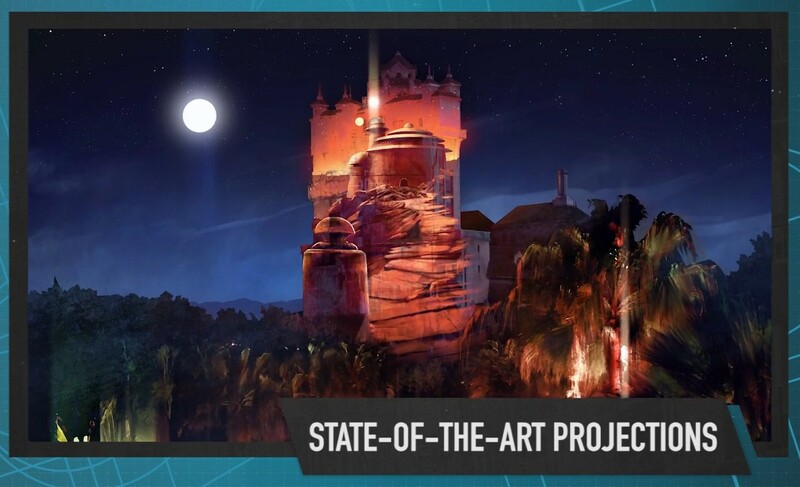 They released this bit of concept art. No further details were released, but announced activities include a chat with Imagineers about Star Wars: Galaxy’s Edge, special event backdrops, a Star Wars DJ dance party, special meet and greets with Star Wars characters, and more! Tickets for the event are $129 and can be purchased at the Walt Disney World website.